I really like this bike. It’s baby blue with a chrome raked fork. Nice. 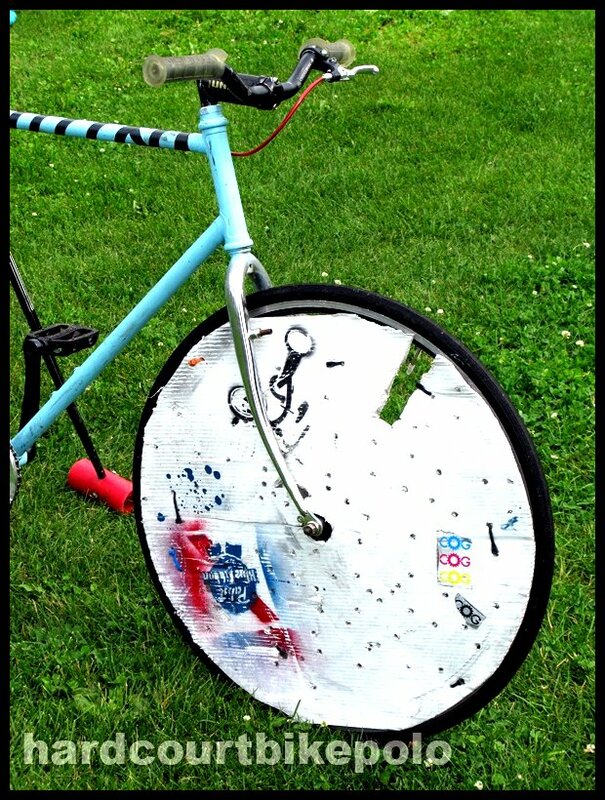 Disk wheel on the front, 48 spokes on the rear. 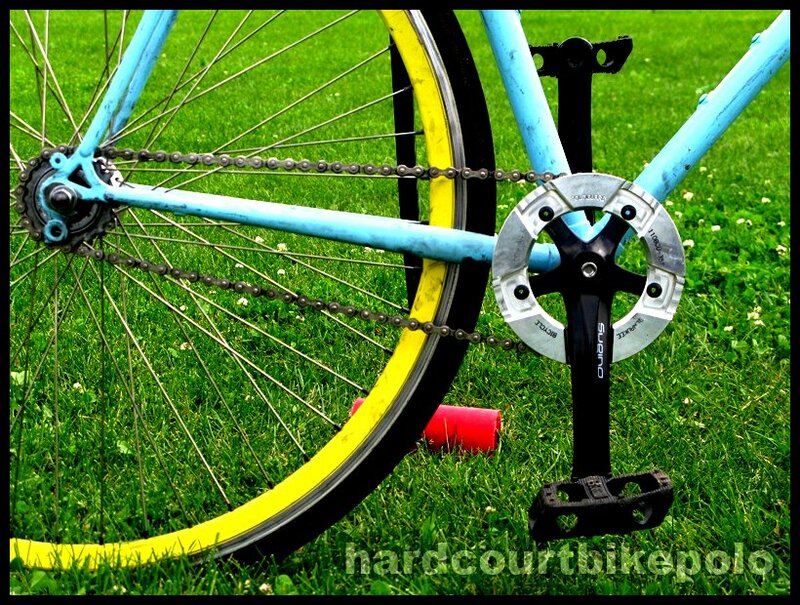 Pologuard, plastic platform pedals, rear (carbon) brake, short (plugged) bars, freewheel. It’s got it all. 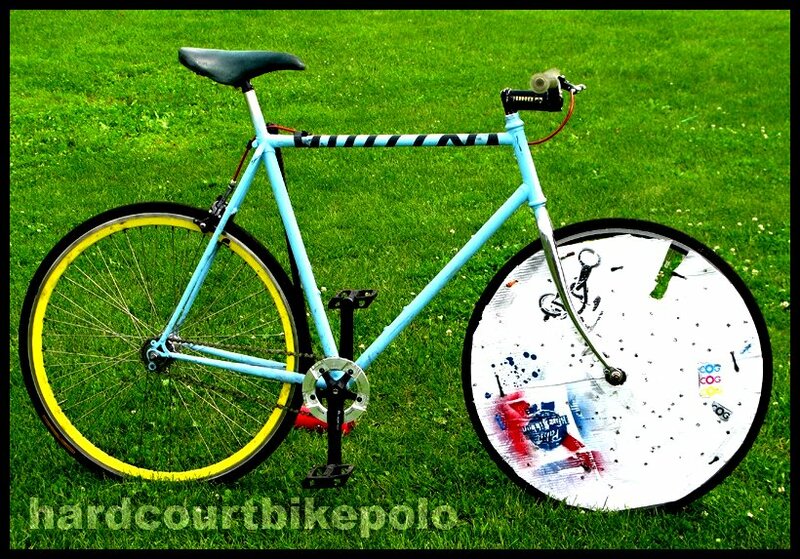 This entry was posted by Doug D on November 18, 2008 at 12:01 am, and is filled under Bike Polo, Bikes of Polo, Photos. Follow any responses to this post through RSS 2.0. You can leave a response or trackback from your own site. what gear is this rig producing? yeah, it’s a nice looking bike. F bomb you Paul, go to Costa Where the hell ever and tell me what’s up then.